Funeral Services will be held 10:30 A.M., Tuesday, September 11th at the Aurora United Methodist Church. Rev. Greg Reed will officiate. Visitation will be from 5 – 7 P.M. Monday at the Aurora United Methodist Church, 1104 A Street. Masonic Rites will be held at 7:00 P.M. Memorials may be made in care of the family to be designated at a later date. Higby-McQuiston Mortuary is in charge of arrangements. Condolences may be e-mailed to the family through the mortuary website at www.higbymortuary.com. 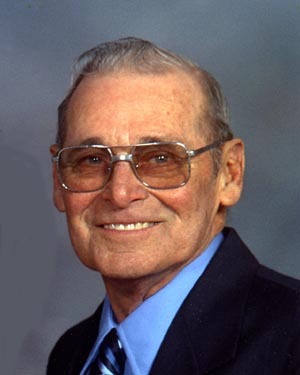 Gary Lee Jensen, the son of Edward and Naomi (Jeffers) Jensen, was born in Sutton, Nebraska on August 30, 1936 and passed away at home in Aurora with his family by his side on September 7, 2018, at the age of 82. Those left to cherish his memory are his wife of 60 years, Patty of Aurora; 4 children, Jeff (Deb) Jensen of Phillips, Chris Jensen and special friend, Donna Rehrs of Grand Island, Vanessa (Jim) Green of Grand Island and Casey (Julie) Jensen of Aurora; 7 grandchildren, Shannon (Tony) Faz of Kearney, Layce (Jamie) Dux of Crete, Bo Jensen of Atkinson, Michaela Jensen of Fort Worth, Texas, Tyler and Emily Green of Grand Island and Kaylee Jensen of Aurora; 3 step-grandchildren, Liz (Chad) Gonka of Columbus, Adam Tejral of Tea, South Dakota and Andrew (Ashley) Tejral of Phillips; 3 great-grandchildren, AJ and Carsten Faz both of Kearney and Weston Dux of Crete; 4 step great-grandchildren, Mason, Sidney and Avery Gonka of Columbus and Jensen Tejral of Phillips and many other family members and friends.